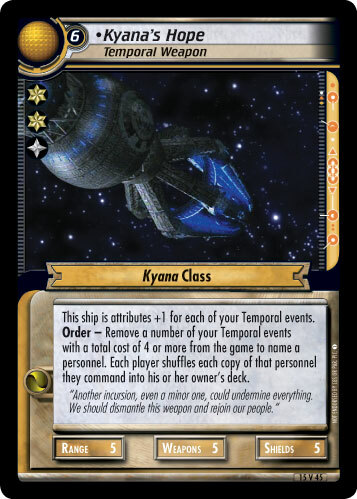 This ship is attributes +1 for each of your Temporal events. 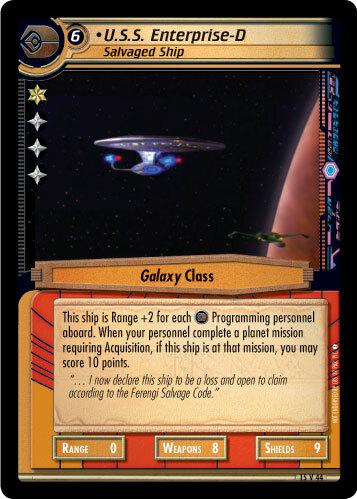 Order - Remove a number of your Temporal events with a total cost of 4 or more from the game to name a personnel. 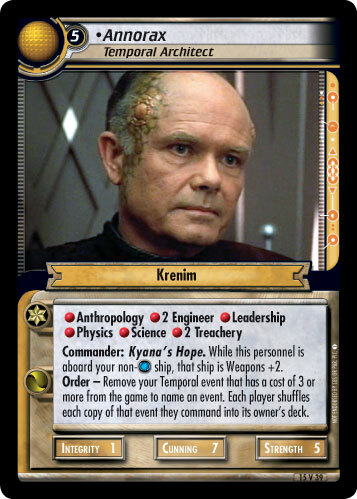 Each player shuffles each copy of that personnel they command into his or her owner's deck. "Another incursion, even a minor one, could undermine everything. We should dismantle this weapon and rejoin our people."